Rundle Mall The pedestrian mall has become the centerpiece of Adelaide’s city centre. 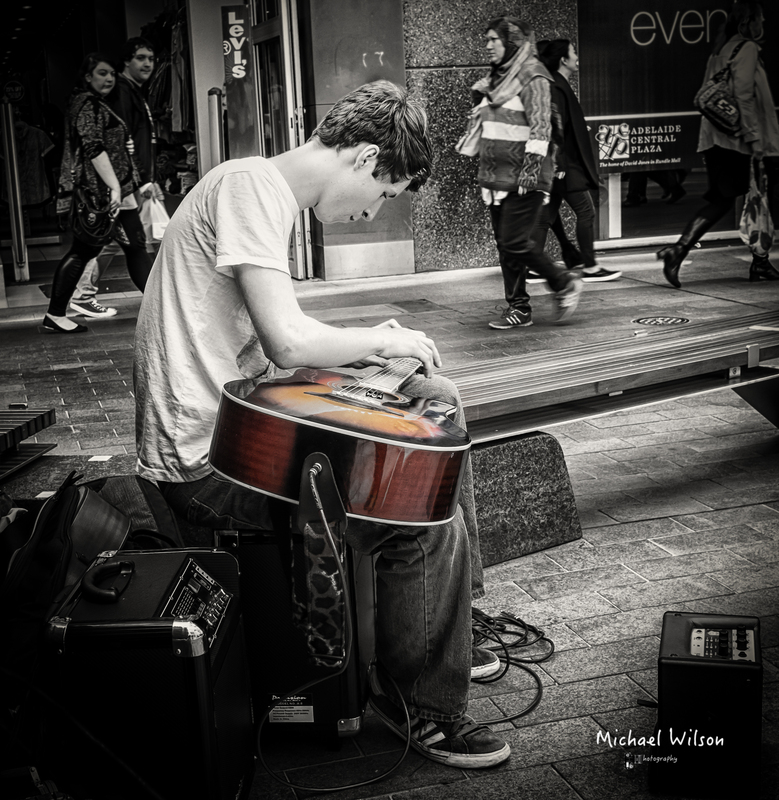 This entry was posted in Photography and tagged Adelaide, Adelaide Street Photography, black & white, Busking, colour, Guitar, Lightroom, Monochrome, Photography, Rundle mall, Silver FX Pro, Street Photography. Bookmark the permalink. I like to wake up late! Nice processing ~ really makes the photo pop with interest.